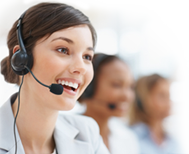 Makharia Electricals P Ltd., is a professionally managed trading firm with over 45 years of dedicated experience. Though a family owned concern, it is professionally managed and it incorporates the most modern concepts and management principles in its overall functions i.e. customer satisfaction, marketing, financial management. It has a team of dedicated executives who are committed to the company’s business philosophy. To be Market Leader and most preferred trading firm in Electric Motors. Successful to market the electric motors in own registered trade mark brand name OXFORD, in competition to established brands. 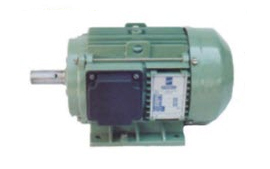 Please visit our websitewww.makhariaelectricals.net for more information on Oxford electric motors. As MD of Makharia Electricals, Gopal Makharia has been instrumental in providing vision and steering the company towards its long term objectives. A B.Com graduate from Mumbai University with more than 45 years of experience in electrical motors and switchgears. He has been responsible for steady growth of company since he joined in year 1967. An Electrical Engineer, who joined Makharia Electricals in 1992 and is instrumental in all over growth of the company. Under his able guidance the company has expanded extensively. Voltage 415V±10% , 3 ph. Address : B-611, Express Zone, Western Express Highway, Goregaon(E), MUMBAI-400063, Maharashtra, India.